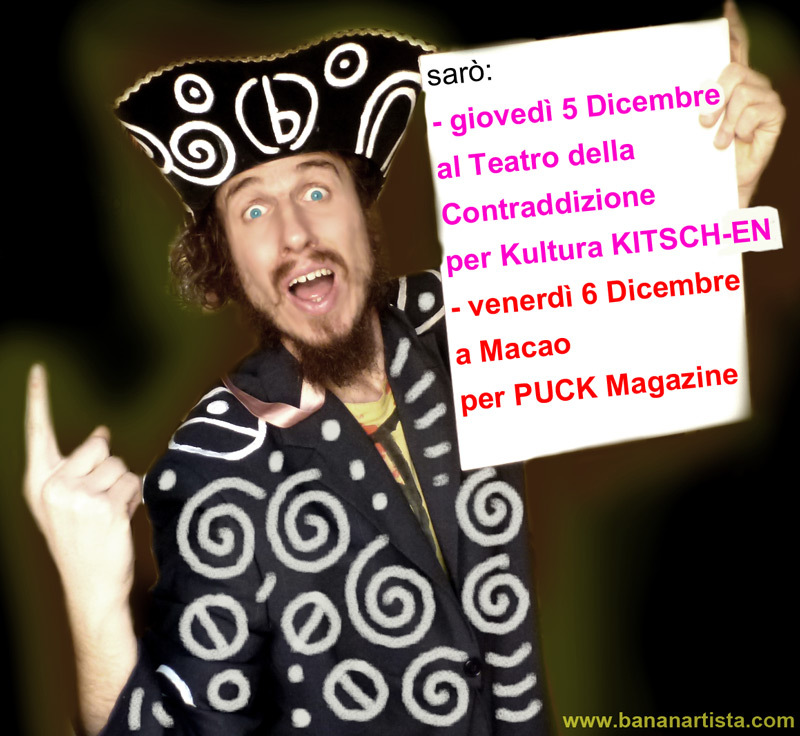 – venerdì 6 dicembre 2013 dalle 22:00 (b)ananartista disegna per PUCK Magazine a Macao durante la Notte dell’Apocalisse — ingresso libero. Usually I don’t read article on blogs, but I would like to say that this write-up very compelled me to take a look at and do it! Your writing taste has been amazed me. Thanks, very nice post. Hey There. I discovered your weblog the use of msn. This is an extremely neatly written article. I’ll be sure to bookmark it and return to read extra of your useful information. Thank you for the post. I will certainly comeback.